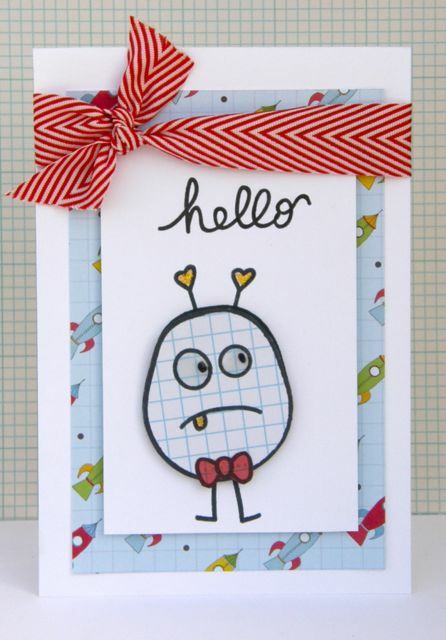 Laurel has created a card to send to someone who just needs a little pick me up. She used Gotta Bug and Talk to Me. Don't you just love the pom poms on this little fellas head.. Both of the cards are adorable!